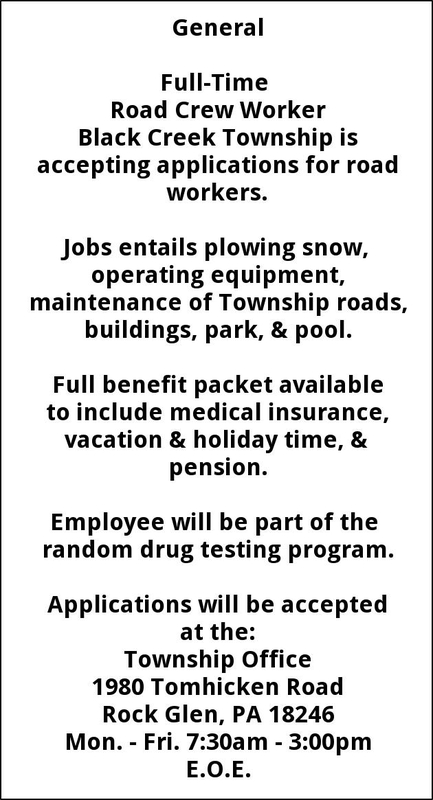 Black Creek Township is accepting applications for road workers. Jobs entails plowing snow, operating equipment, maintenance of Township roads, buildings, park, & pool. Full benefit packet available to include medical insurance, vacation & holiday time, & pension.